Lots of winners today! Thanks to everyone who participated in this raffle for Ronald McDonald House Charities for the 2014 Chicago Marathon. We raised $230 and I only need $770 to go to meet my commitment. Your help is much appreciated! For anyone who is till looking for a guaranteed entry into the Chicago Marathon, RMHC still has spots available. For anyone who would still like to donate to my fundraising effort on behalf of this great charity, please donate HERE. Thank you, all! I have 5 prizes so selected 5 unique #s.
Winners are #3, #24, #33, #34 & #20. #24 & #20 – Ms. Nicki – Large New Balance Incredible singlet & the Injinji prize pack. #33 & #34 – Sharon DeVault – Medium New Balance Incredible singlet & Emergen-C prize pack. Congrats, ladies!! Please email me your mailing addresses!! 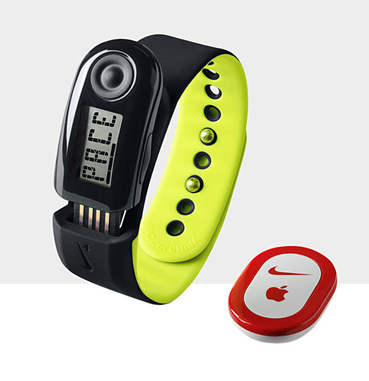 Lastly, we need to pick a new winner for the 13.1 Chicago giveaway. Our original winner is super sad but can’t seem to get time off work to travel to the CHI. Sorry for Ms. Kari but I’m pretty sure the new winner will be super psyched. Are you the new winner?? If your name is MEG SEPPI, you’ve won! Meg, please contact me for details on how to register for your FREE race. This is one of the best half marathons in Chicago, congrats on the win. 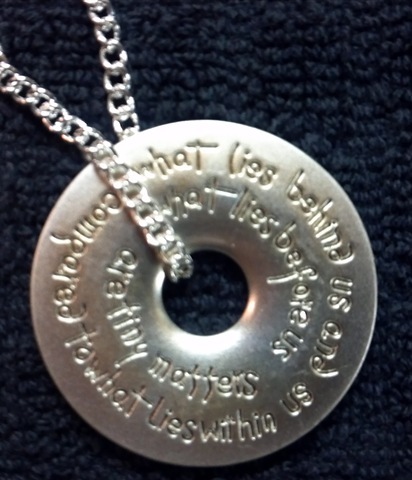 This is by no means fine jewelry but I loved the message and its one that I would be proud to wear. The necklaces are silver and I am giving away TWO! In order to be eligible for the giveaway, please comment below as to what inspires you! I will allow random.org to pick two winners on Monday, November 12th at 9am. Good luck! Don’t forget, you can follow me here by clicking on the “follow” button or subscribing by email. You can also follow me on Facebook HERE or Twitter HERE. I try to post different things to each account to reward those followers. If you want to know everything TTF, then make sure you’ve signed up for all three! I have lots of exciting things to come! Today is a good day because the weather totally rocks I have a great product to give to you for free! You already know that I fell in love with the PunkeeLove Headbands I picked up at the Shamrock Shuffle Expo. 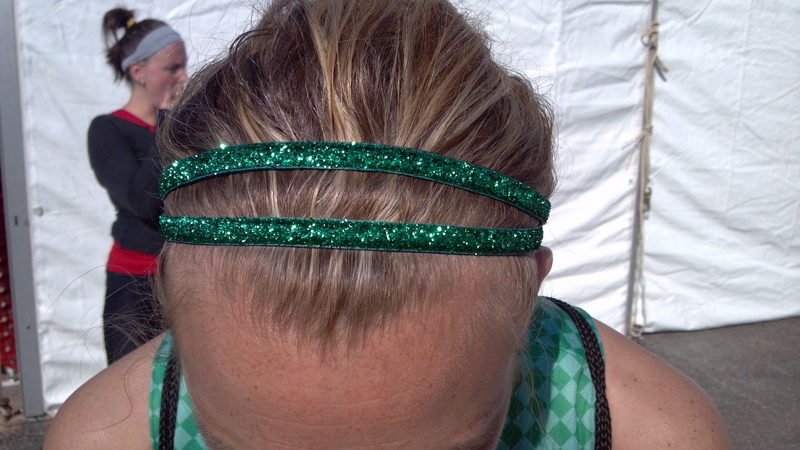 I wore the green sparkly “twice as nice” headband for the Shamrock Shuffle and pretty much every day since and my girl Kristina shamROCKED in the twice as nice silver. 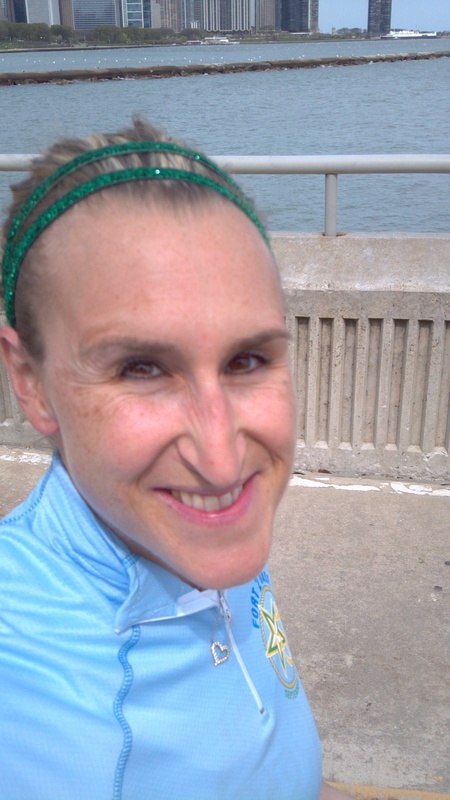 The headband not only stayed in my hair while I was racing the streets of Chicago but also when I took a major tumble on the lake front path a few days later. The photo below was taken about 15 minutes before I kissed the ground. I promise I was not running and taking a photo of myself when I fell but the fall did work out since I didn’t get hurt to prove the AWESOMENESS of these headbands. Punkee Love has sent 5 headbands for me to give away. I am so excited for you and a bit jealous, can I enter my own giveaway? and have decided to give these out to 5 different individuals so we can spread the Punkee LOVE as far as possible. Know that you are totally a star if you are rocking one of the PunkeeLove Headbands because they will be included in the 33rd Annual Sports Emmy Award gift bags for the airing of the April 30th awards ceremony in New York City! 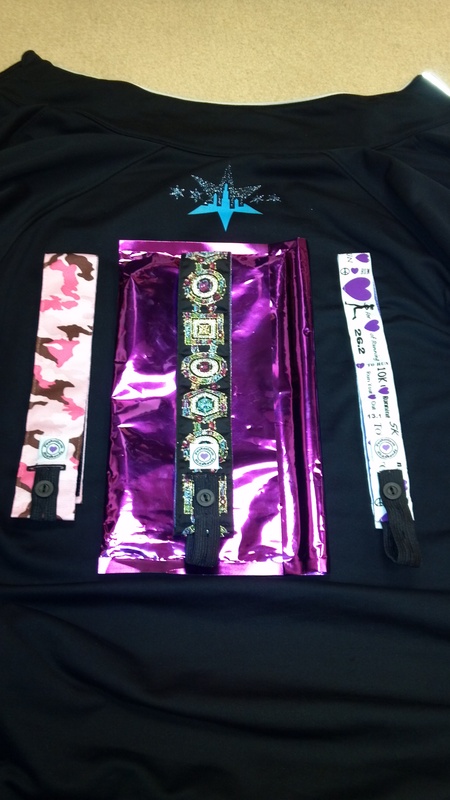 Below are the pics of the 5 headbands to be given away. There is a wide variety of the styles that PunkeeLove offers and here is nice sampling. 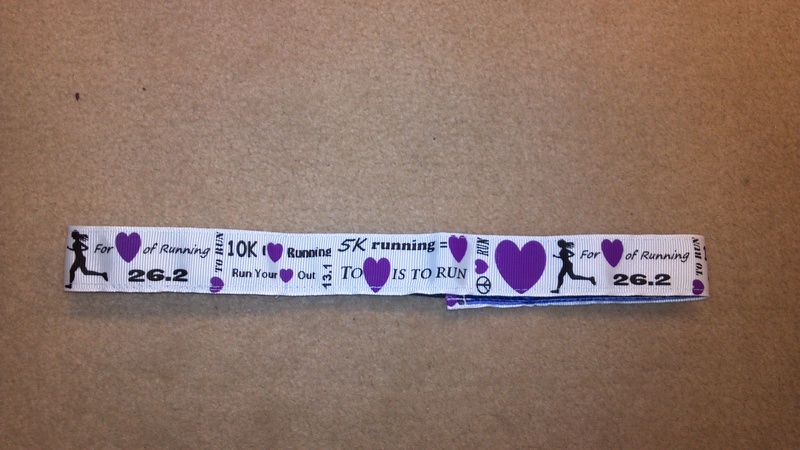 These 3 are a few of the thicker style bands and include from left: Sargent Pinkie, Cleopatra 1.5″, & Love Running 1″. Then we also have 2 of the Twice as Nice headbands in the blue & silver. Please notice that each band is adjustable to fit your head and your daughter’s. This makes these headbands unique to other big name bands and also easy to share. Max entries will be 15 per person, please leave a comment below for the things which you have done and how many entries to assign you. As always, if you are already following me, that is not a punishment, just make a comment below stating the same. Only one band per winner. 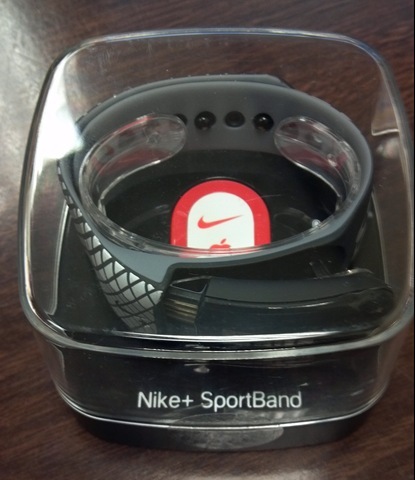 I will randomly select 5 winners via a random number generator at 9am on Monday, April 9th. If you want to make an order now, like me, then you may use the 20% off ONE TIME PER CUSTOMER coupon code: tootall20 Make sure you get what you want when you place the order as it’s a single use code. Good luck, now go tell ALL your friends about this giveaway and bombard the PunkeeLove Facebook page with some serious LOVE and appreciation for donating these bands. 13.1 Chicago – Race Entry Giveaway! 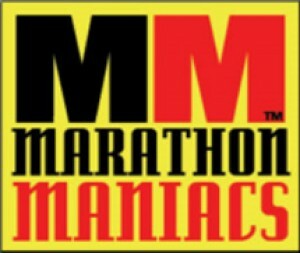 I am sooo excited to announce that I have free race entry to giveaway for the 13.1 Chicago event on June 9, 2012! Coming off the recent 13.1 Miami Beach race (recap HERE) makes this that much more exciting for me and I am super envious that I will not be hitting the pavement with you on June 9th! This is a very unique race for the CHI as it does not go through the loop or the same tired section of the Lake Front running path that you may have run a million times in recent races. THIS race according to the website: starts and finishes at the Historic South Shore Cultural Center (SSCC) on Chicago’s south side. The SSCC offers beautiful views of both Lake Michigan and the Chicago Skyline and has hosted many notable events, including the wedding reception of President Barack Obama and First Lady Michelle Obama. 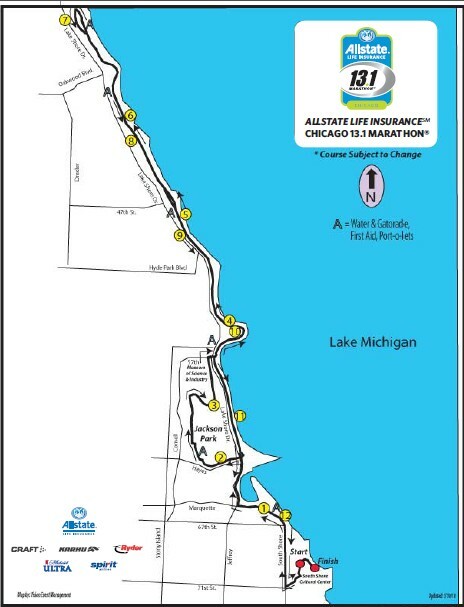 The 13.1 mile course takes you along the Lake front Path past La Rabida Hospital. After passing the hospital, you will run through Jackson Park, home of the 1893 World Columbian Exposition, the Osaka Japanese Garden, a strolling garden on Wooden Island. You will then pass the Museum of Science & Industry, the only original building remaining from the 1893 Columbian Exposition, and one of the largest science museums in the world. You will then head back to the Lakefront Path to almost 35th Street before heading back south, past the 63rd Street Beach House and finishing at the SSCC. This course is 13.1 miles of perfect Windy City experience. This is a totally different race experience than what you normally get in Chicago and I will definitely be out there with you next year! After you have done some/all of the above, please leave a comment in the comments section below and tell me what you have done and how many entries to assign you (max of 15). If you are already a follower and a TooTallFritz Facebook fan, that is 2 free entries for you, just let me know that you would like to be entered in the drawing! I will randomly generate a winner via a Random Number Generator on Monday, March 26th at 9 am. And for all of you running the 13.1 Chicago, feel free to enjoy the after party, then head to North Beach to cheer in the Madison to Chicago Ragnar Relay teams. That’s where I’ll be….. running it in with the Ultra Team (You Just Got) Chicked! See you next year, 13.1 Chicago! Last night I went to the Running For Kicks Shamrock Fun Run in Palos. I am coming off some higher miles, at least for me, so it probably wasn’t the smartest move but I wanted to go so that I could wear my green Team Sparkle skirt again! However, knowing that my legs were extra fatigued, I was smart and grabbed my Aspaeris Pivot Shorts (APS). These are the only compression shorts I own and I really like them. They have two layers, which I initially thought would be awkward but they go on easier than most compression wear, plus they stay in place and don’t move even during hard speed workouts on the treadmill. I really love the way the compression feels on my hips and legs when I run. Even though my legs were very fatigued last night, the compression adds just enough pressure to keep the blood flowing and help ease the soreness. I actually feel pretty decent today. Now if the shorts could just push me up those Ishnala hills! Aspaeris Pivot Shorts™ are actually two pairs of shorts bonded together. The Outer Short is a high performance compression short designed to support your muscles. The Inner Short features our breakthrough, Dual Sensory Compression Bands™. These cross-knit bands guide your muscles into the proper position, thereby improving your pivot performance, which helps prevent ACL and hip injuries. The Aspaeris Pivot Short™ is not an ordinary compression short. Athletes who try the APS™ report feeling more confident in their ‘pivot moves’ and almost all feel more in control without being restricted. I ordered a pair of the APS at the beginning of the year and liked them so much that when we were gathering sponsors for our Chicago Ragnar Relay Team (You Just Got) Chicked, I contacted them to see if they would be interested in sponsoring our team. I got lucky and they said yes! So this added a few more pair of these babies to my collection. My first purchase was practical and black in color, then I was a bit more adventurous with the sponsorship and added a pair of red and white. 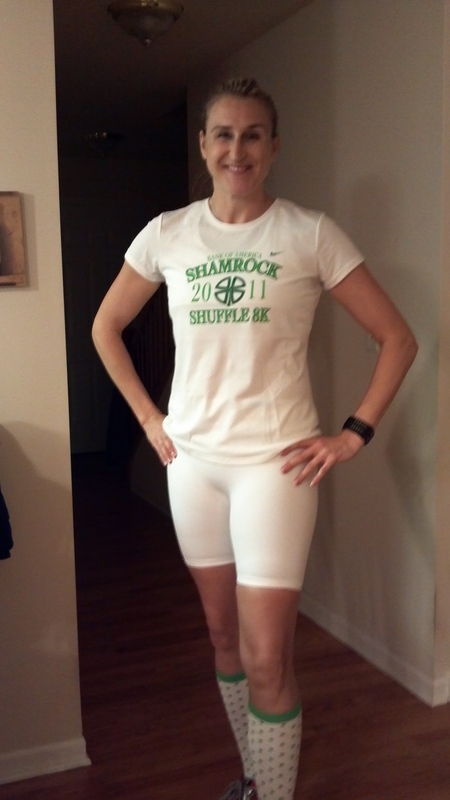 The white worked out well for the Shamrock Fun Run because I won 2nd in the Most Festive Dressed contest! Yay! So nice to look good and feel good! Thanks Aspaeris! After you have done some/all of the above, please leave a comment in the comments section below and tell me what you have done and how many entries to assign you (max of 11). If you are already a follower and a TooTallFritz Facebook fan, that is 2 free entries for you, just let me know that you would like to be entered in the drawing! 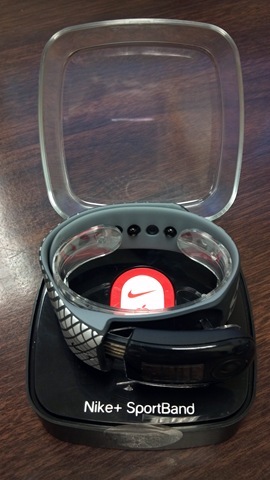 I will randomly generate a winner via a Random Number Generator on Monday, March 19th at 9 am. If you don’t win, or can’t wait to try a pair of these out, then please feel free to use the 25% off coupon code: PC2012 to get a discount on the Aspaeirs Pivot Shorts now.